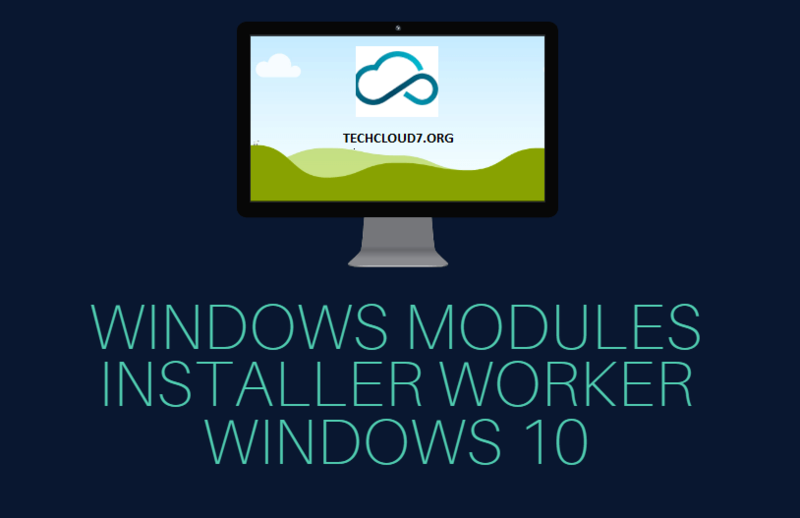 Windows Modules Installer Worker | What is Windows module installer ? Windows 10 based systems are prone to many technical errors and one of the most common errors is Windows Modules Installer Worker (WMIW). Mostly, the users experience this Windows error when the icon of this tool suddenly stops working or become unresponsive. Often, this can lead to system crash or shutting down of Windows 10 abruptly. Another major sign of this Windows Modules error is when the CPU usage is high while running this installer. Fortunately, there are a few easy and quick technical fixes to troubleshoot this Windows problem and resolve high disk usage. So, if you are currently facing CPU usage problem on your Windows 10 based device, go through this article. Here, you can find some useful hacks to deal with Windows Modules program on your laptop or computer. In case you want to disable the Installer Worker or update it, this content can provide some relevant information. So, let’s start this article with the most frequently asked question regarding Modules Installer Worker process by Windows users. There are many queries that Windows users ask while experiencing some problems with Windows Module Installer Worker. The following sections will discuss a few of them, which can help you to understand WMIW process on Windows-based devices. So, let’s cover the FAQs on Windows Modules Installer Worker and try to gain some insights. What Is The Purpose Of Windows Modules Installer Worker? Often, customers using Windows 10 ask “What is Windows Module Installer Windows 10?” and are doubtful whether it is useful or harmful for their PCs. For those who don’t know, your system can have it as TiWorker.exe or TrustedInstaller.exe program. This tool is a kind of Windows service that exists on your computer for ensuring the Windows Updates installs automatically. For advanced users, they can utilize this system process to install, modify and even remove the components of Windows Updates. It enables them to make these changes regarding Windows Updates manually as well. For your device to work properly, it is important to download and install Windows Updates on it. Also, in order to ensure enhanced security and better functioning, installing updates from time to time is very essential. 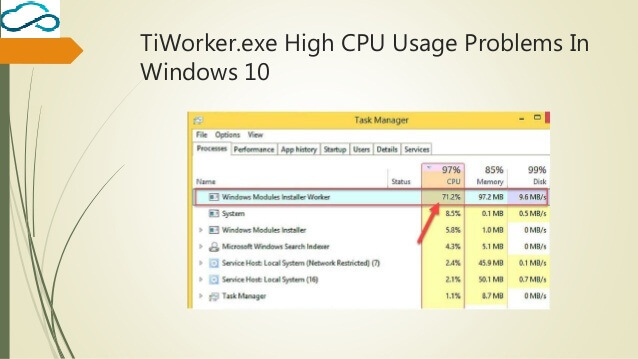 This is why your system utilizes TiWorker.exe or WMIW process for monitoring Windows Updates continuously. How To Identify Problem Of Windows Modules Installer Worker High CPU Usage? Many Windows 10 customers come across this program of Windows Module Installer Worker whenever there is a device overheating problem. It starts with noticing unusual spinning up of the fans in their PCs and then the device gets really hotter. You may not suspect this as any serious issue unless the condition of CPU and other disk resources say otherwise. On the Task Manager window, you can easily find out if there is any problem with this WMIW tool on Windows devices. So, if you are using Windows 10, locate the ‘Taskbar’ on the bottom-right of your display and find the ‘Task Manager’. In case it’s not available, simply press ‘Ctrl, Alt, Del’ buttons or hit ‘Ctrl + Shift + Esc’ keys altogether to access the Windows Task Manager. Next, if you observe that Windows Module Installer Worker is utilizing the CPU and other disk resources heavily, it can be a serious problem. Sometimes, the WMIW can have technical issues that can mess up the overall process of Windows Updates. When things get too complicated, it can lead to over-utilizing the CPU by this Windows Modules Installer Worker. 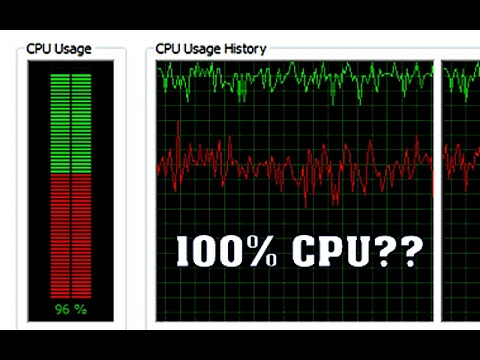 Hence, if you find out that this program is showing 50% or above of CPU usage, it is not a good condition for the Windows processor. If you keep ignoring this issue with the Module Install Worker process, it can cause system overload. The reason behind high CPU load is due to your device searching for Windows Updates constantly. Sometimes, if there are no proper resources to obtain those updates, WMIW can get stuck in this loop to find the downloading source on PC. Due to this, your device may slow down unexpectedly and shuts down abruptly. Also, the users can experience repeated hang up or freezing problems in every process running on their Windows 10 based computers. In case, you can’t resolve Windows Modules Installer Worker high disk problem, you can turn it off on Windows 10. What Are The Steps To Troubleshoot Windows Modules Installer Worker Windows 10 Error? As discussed in the above section, the problem of high CPU usage in Windows Module Installer Worker can be quite severe. Before it harms your PC or ends the processes of other important programs or software, you must fix it. Often, this problem can get worse when users interrupt when Modules Installer Worker tries to complete the Windows Updates process. Hence, the most effective solution during such a scenario is to leave your PC idle for some time until WMIW finishes the updates. Otherwise, you can try a few technical solutions to resolve this WMIW error on Windows 10 or other OS versions. To apply this solution, you need to hit both Windows and R keys at the same time to open the Run dialog box. Then, write ‘services.msc’ in the box and click on ‘OK’ button to view the list of Services (Local) on Windows. Another way to access this option is by pressing the Windows tab on your keyboard and type ‘services’ on Windows 10. Next, on the Services (Local) window, locate the Windows Module Installer Worker service and check its Startup type. In case it is set to ‘Automatic’, find the ‘Manual’ option from the drop-down menu and select it. Then, save these settings by hitting the tabs of ‘Apply’ and ‘OK’. After this, go back to the window of Services and choose the ‘Windows Update’ service. Then repeat the above step and change its Startup type from ‘Automatic’ to ‘Manual’. In order to fix this CPU usage error, you need to change the Windows Update settings on ‘Control Panel’ as well. Hence, hit the Windows tab on Windows 10 device and type ‘control’ in the Search box. Then, double-click on the icon of ‘Windows Update’ from the Control Panel window. Next, select the option of ‘Check for update but let me choose whether to download and install them’. Finally, restart your computer for these changes to take effect and check if the WMIW issue is resolved. Many Windows 10 users assume that it is a virus and ask what is Windows Modules Installer doing? So, if you face this issue even after trying the first method, you can use Windows built-in troubleshooting tools. 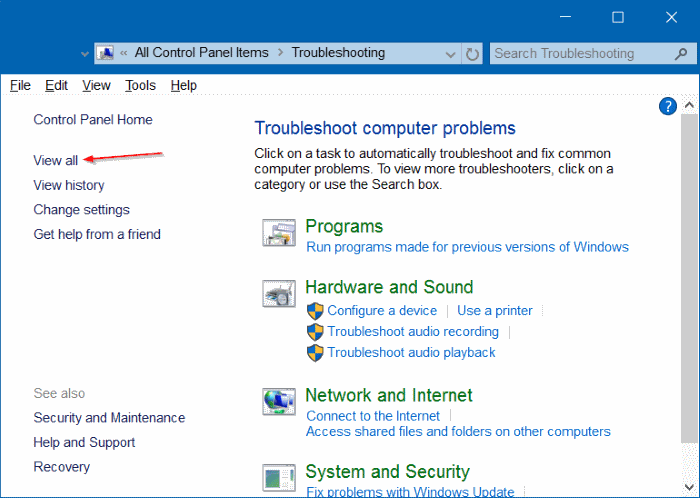 For this, you can make utilize the Windows Update troubleshooter for identifying the problems and resolve WMIW error. Hence, open window of Windows Settings and locate the option of ‘Update & security’. So, click on it and then choose the tab for ‘Troubleshoot’ from the list of items. After this, hit the ‘Run the troubleshooter’ button below the section of ‘Windows Update’. You need to follow the instructions as suggested by the troubleshooter to fix ‘Windows Updates’ error. The user must wait until they get the message ‘Troubleshooting has completed’ on their screen. In the end, you must reboot your computer to see if this solution can troubleshoot WMIW’s CPU issue. For customers on Windows 10 who are getting this error and keep asking “how do I update Windows modules installer?”, you can try this method. However, before updating the WMIW program, you need to refresh the content of Windows Update. Hence, your first task is to find the folder of SoftwareDistribution in Windows and remove/delete it entirely. Next, open the Windows Settings page and tap on the option of ‘Update & Security’. Then, select ‘Windows Update’ on the left panel and click on ‘Check for updates’ button. As you hit ‘Windows Update’ button next, your system will update the Windows Module Installer Worker. It will also recreate the SoftwareDistribution folder and retain necessary system files for running WMIW. Otherwise, you can also get the updates manually by importing the files from another system. If the issue remains the same, you can look for third-party software or tools for updating WMIW for Windows 10. Even after applying technical fixes, some Windows 10 users may find WMIW program annoying. 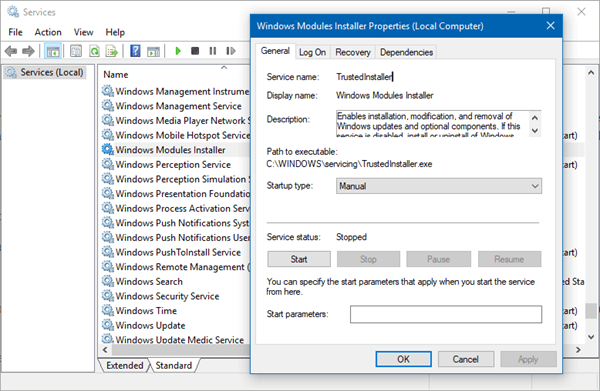 If you are one of them and have this query “how do I stop Windows Module Installer?”, follow the steps in the method. So, first, you need to open the Task Manager window by following the steps already discussed in the above sections. Then, go to the ‘Processes’ tab and locate the Windows Modules Installer Worker from the list. Then, right-click on this icon of WMIW and choose ‘End task’ from the list of options. However, if you want to delete or remove this program from Windows 10, you need to open ‘Control Panel’. After that, find Modules Installer Worker from the list of programs and click on the tab for ‘Uninstall or change’. 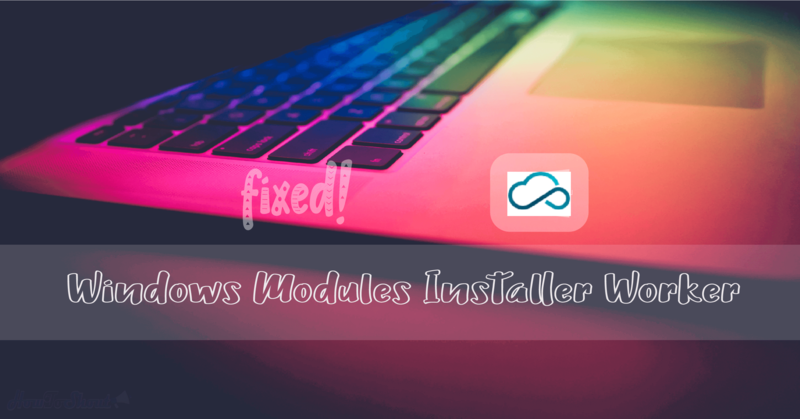 In case you are unable to fix Windows Modules Installer Worker error using any of the above solutions, there are advanced methods. So, if you are a tech-savvy, you can use Registry Editor to repair system files causing WMIW error on Windows 10. Otherwise, you can consult a Windows 10 professional to fix problems in Modules Installer Worker process to avoid any system failure.